June was a huge month of growth for me. 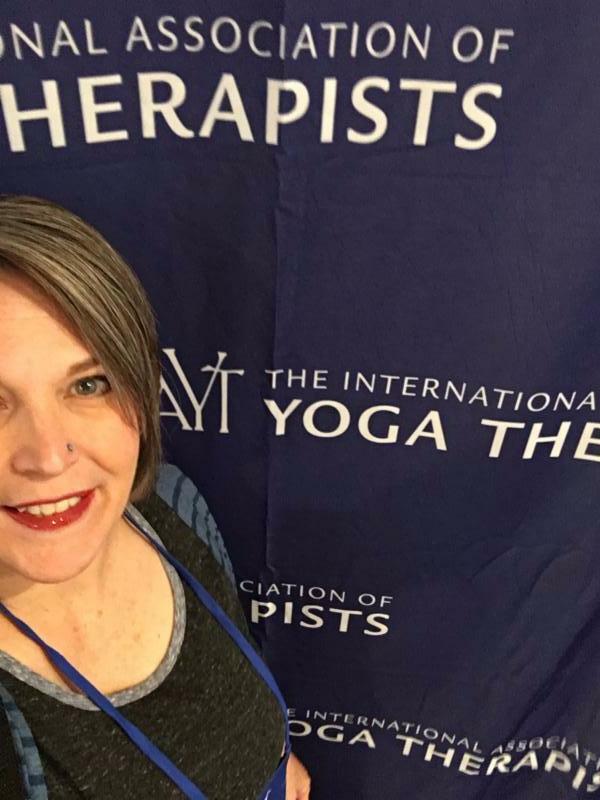 Much to my surprise, several months ago I was selected to present at the International Yoga Therapist Conference, in California. My topic? Bridging the Gap Between Law Enforcement and Yoga Therapy. When I submitted my proposal I had been reading a lot of stuff on how law enforcement could benefit from yoga therapy and how helpful it would be for them. But, none were actually addressing the real issue behind why they were not attending classes or utilizing these services for their healthcare. Being a retired federal officer, I had something out of the box to say about this. I’ve spent 23 years hiding in the shadows and keeping my state and federal career separate from my yoga life. I often felt completely at odds with myself with a foot in each world, but never really feeling a sense of peace. I was fierce by day, and OM by night. My yoga friends were scared of my life with the feds and didn’t want to hear anything about that world, which honestly I appreciated. In my law enforcement life I was made fun of and ridiculed for being that woo woo “weirdo” who was always doing some strange stretching in her office or at the gas station because her back hurt. And why was she always barefoot? I never fully fit in either place. So, I kept to myself and didn’t really fully express either side of me. fully embrace both sides of me would mean I was finally a whole person. The Yoga Therapist conference was the first time I would ever talk about both parts of me in a public forum. Not only did I present, I did it SIX TIMES! By the last presentation, I had become comfortable talking to yoga therapists about what it was like to be in law enforcement. I could talk about my most traumatic incident ‘on the job’ and how I used my yoga practice to make my every day world at this job okay. I offered input to others attempting to offer services to this population. I guess I could say during those 6 presentations, each one put me a step closer to feeling comfortable with being fierce in the presence of my OM. Wonderful things are manifesting from this trip. Doors I had no idea were even there have opened and Robbie and I are fully exploring what’s on the other side of each of them. I can’t wait to share with you which door(s) we pick to go through! Very exciting things are on the horizon, now that I’m OMing My Fierceness.